What do you find yourself yearning for in the new year? For me, it’s adventure and exploration. After living in South Florida for nearly 30 years, I have yet to take advantage of all of the natural beauty that surrounds us. 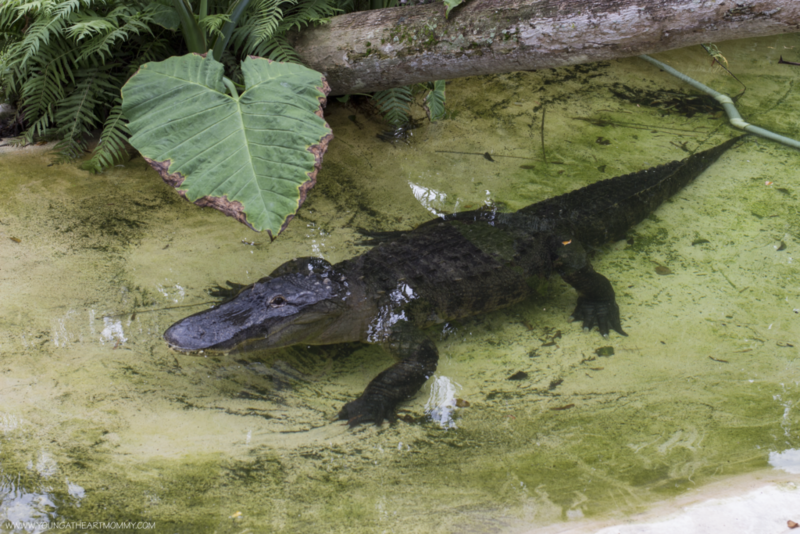 There is so much to see and even more to do in the sunshine state, making it nearly impossible for us to run out of spontaneous escapades the entire family can enjoy together. The warm weather and sandy stretch of coastline attracts thousands of tourists each year. They swim, surf, and bask in the sun without a care in the world. While these are the many perks of being a native Floridian, there are hidden gems scattered throughout the state which tend to be overshadowed by the beaches. 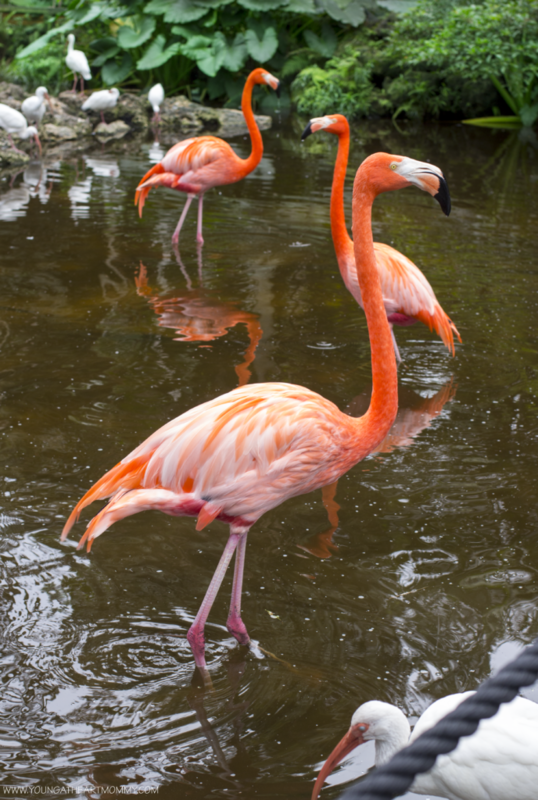 One of these places being Flamingo Gardens, a 60-foot wildlife sanctuary, aviary, and botanical garden. I haven’t been to Flamingo Gardens in years and with it being the last week of her winter vacation, Toodie & I decided to visit for a day of fun. If you have never had the pleasure of visiting a wildlife sanctuary before or are a city dweller in need of a nature fix, this is the place to be. 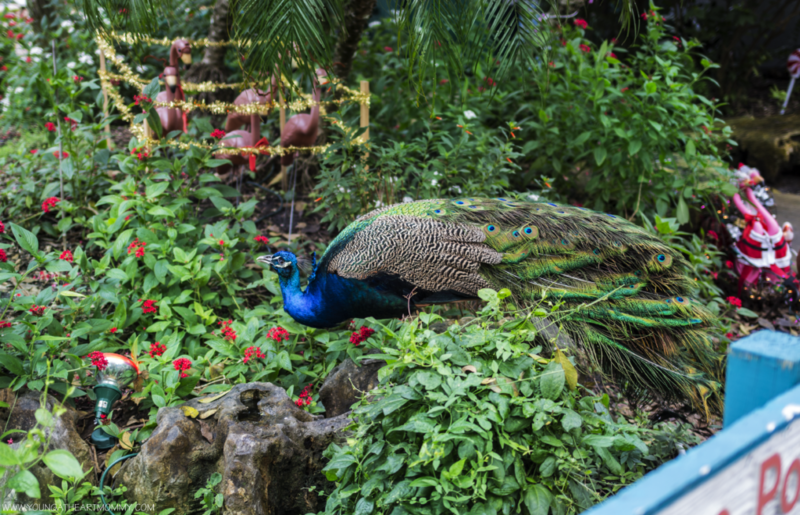 It’s home to over 3000 species of exotic plants, native wildlife, birds, and majestic peacocks. The colorful feathers on the male peacocks are truly stunning in person and there are SO many roaming freely. 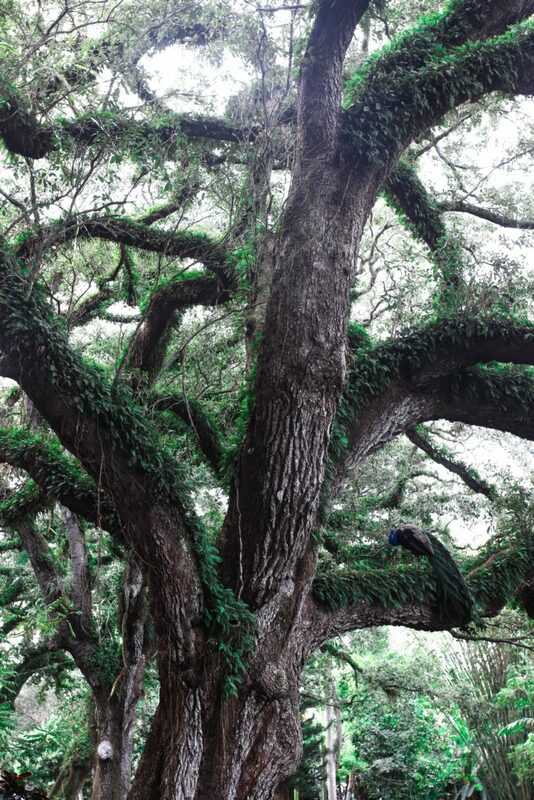 Many of them were also hanging out in the winding branches of the huge trees that overlooked the grounds. Did you know the bold colors are used to attract their mates? Compared to the males, female feathers are not as dazzling because they’re shorter and often brown or cream color. We even spotted an albino peacock during our tram tour! The Flamingo Pond was our first stop upon arrival. 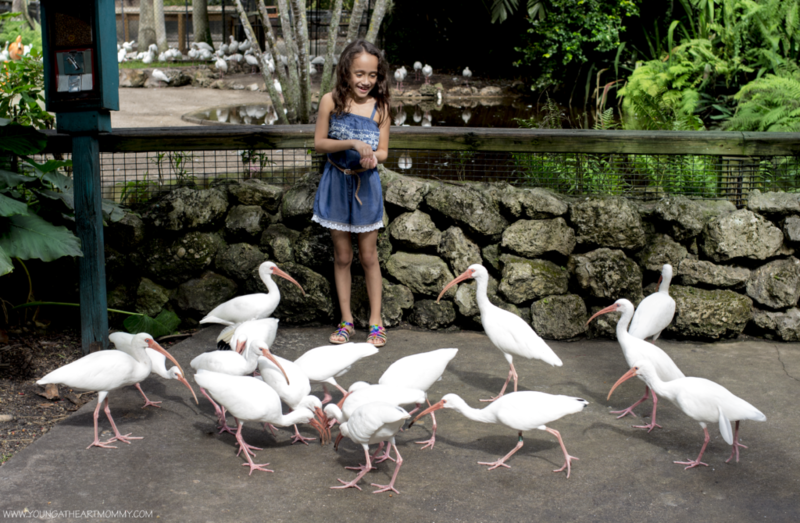 Toodie couldn’t wait to feed the flamingos and other wild birds in the area. There are several machines scattered throughout the grounds in which you can purchase a handful of pellets for a quarter. Bring plenty! They go fast, especially if you have a hungry flock surrounding you. Most of the birds will eat them right from your hand which makes for a very cool experience. These pretty-in-pink birds had no problem walking right up to the edge of the water for photo opps! A cafe is also conveniently located right next to the pond for a bite to eat while flamingo watching. They serve fresh fruit, sandwiches, beverages, ice cream, and other snacks. Along he walkway we also came across the turtle and tortoise habitats. These guys are HUGE in person and they actually move a lot faster than you’d expect! 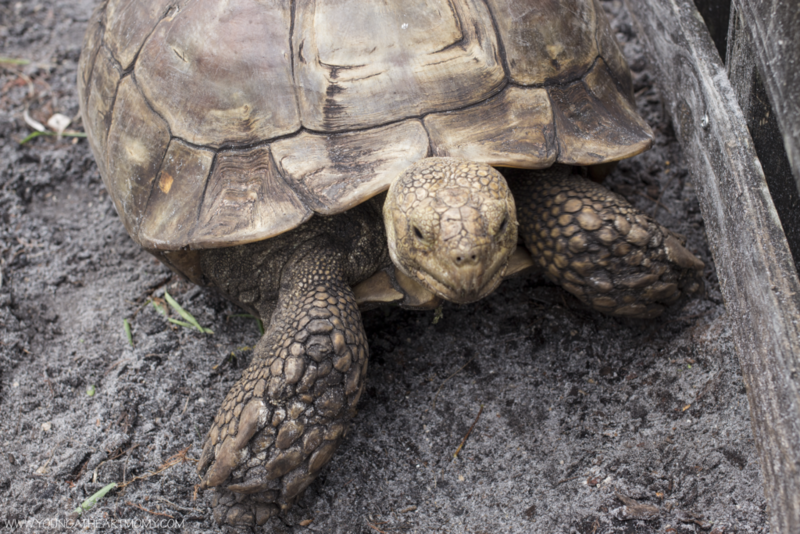 Here you will find African Spur tortoises, Alligator Snapping turtles, Box turtles, Freshwater and Softshell turtles. 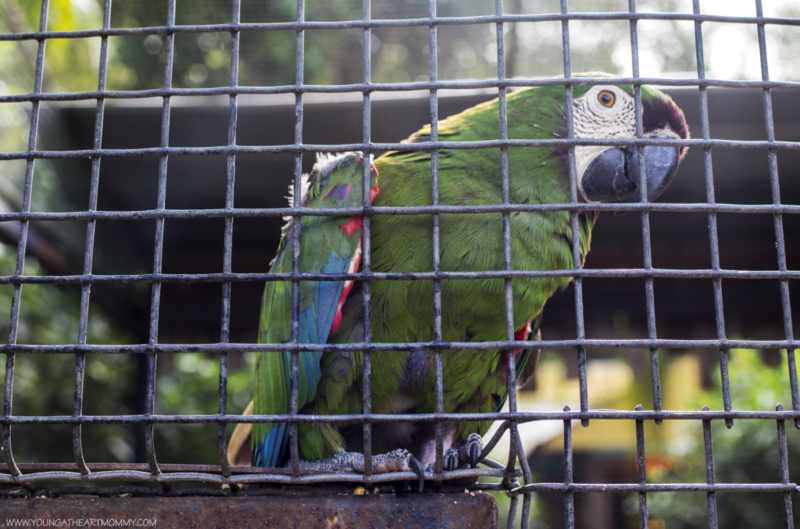 The 25,000 square foot aviary is another great place to get closer to the birds through interactive feeding. You can walk along the path and notice different species all around you. 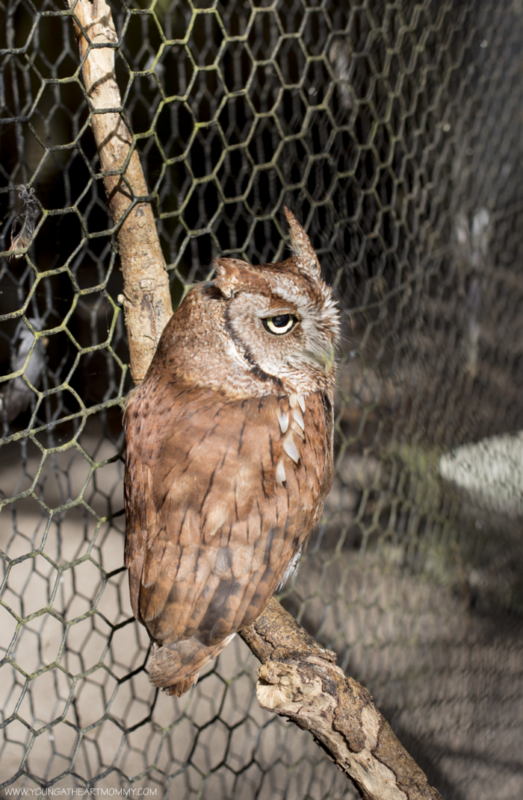 Many of these birds are injured and can no longer live in the wild but are not aggressive towards visitors. They will also eat the tiny food pellets right from your hand. Do watch out for unexpected poop. There may be quite a few on the ground, but remember to look up and be aware of your surroundings! After all, you are in their house. 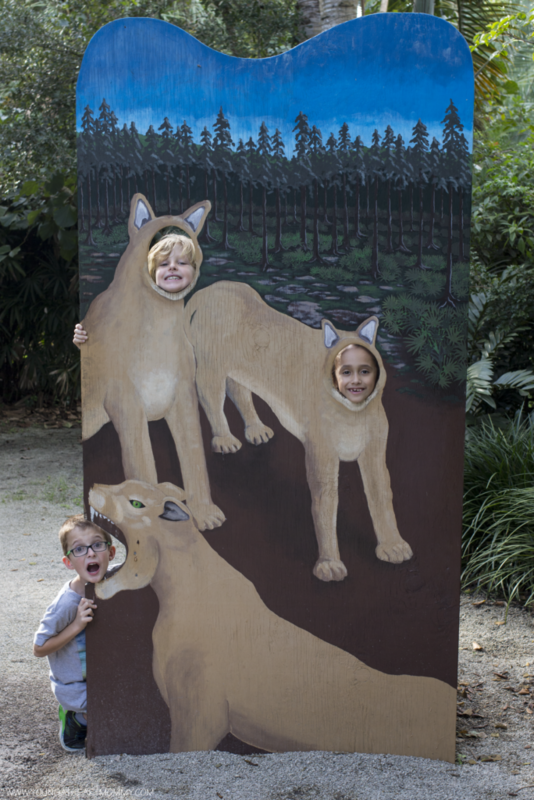 In between the wildlife show and spending time in the other exhibits, visitors can also take a complimentary tram ride through 42 remote acres. During the narrated tour you will learn more about the tropical rain forest and fruit groves. This part of Flamingo Gardens holds some of the last original jungle growth in South Florida and looks just how it did when the Seminole Indians occupied the area. 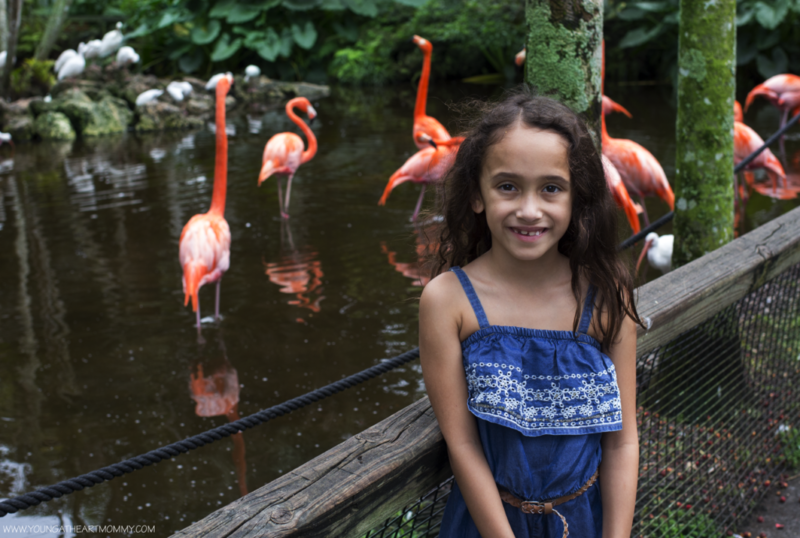 There are plenty of exciting things to do in Florida but if you are looking for a relaxing and family-friendly atmosphere to keep the kids busy all day, put Flamingo Gardens at the top of your list. We had a blast and didn’t end up leaving until they closed. It’s so easy to get immersed in nature! 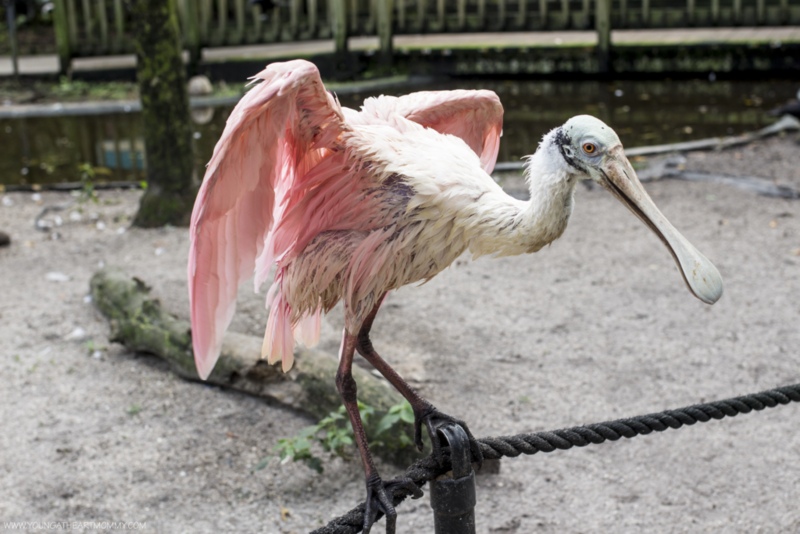 Have you ever been to Flamingo Gardens or another wildlife sanctuary in your hometown? I would LOVE to visit here. I have been in CO for about 5 years now and there is so much to see and do here and I need to visit some of them. Most of them are better done in the summer however. Maybe one day I can visit you in South Florida and we can do this all over again. What a neat place to visit. I would love to go to a wildlife sanctuary. The kids would love it.